As a team of photographer and travel writer, we have traveled to the nooks and corners of India. We made connections and built a personal reputation with locals and home stay owners. We also discussed with our friends, fellow travelers and experts about what inspire them to prefer home stay over a hotel. This also led us to believe that we are working on a right concept. 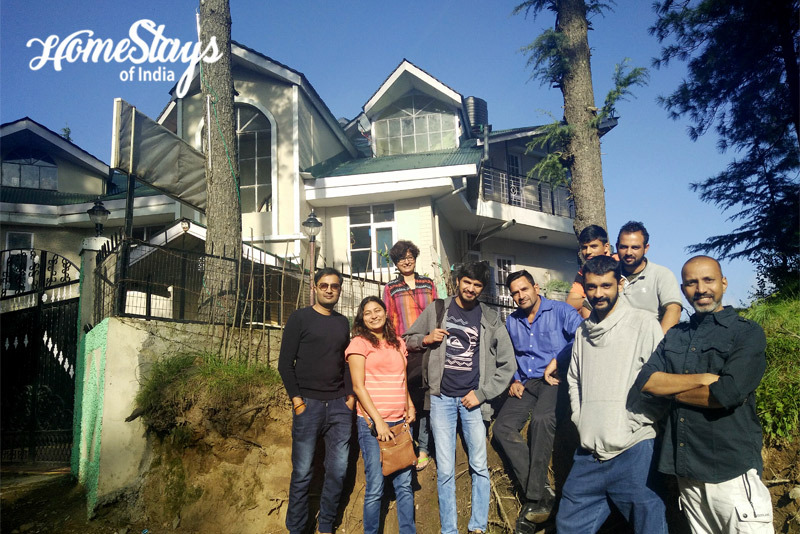 By the time we are working to enrich our website with more and more fabulous home stays, you find reasons to choose a home stay for your next vacation. A home stay is simply a part of someone’s home converted into a stay. It is less intimidating than a large impersonal hotel. You feel so much comfortable in a home stay. Once at Lansdowne, I just mentioned to my host I am missing my bike in these fabulous hilly roads. Without a second thought he took out his bike’s key and hand it over to me. Will a hotel staff do the same? Never. On another occasion one of my friend’s stomach was upset so he demanded for Khichdi. The lady of home stay cooked and served it with pleasure. You don’t get this type of hospitable gesture in a hotel. No one knows a place better than a local. He can expose you to local sights, streets and foods which probably you won’t get in a travel guide. Online research is good but it can never beat local information. India is such a rich cuisine world. Every few miles the food gives a new aroma and flavor. Staying with local gives you a chance to try something new which you never had. Most of the time, you have access to the kitchen and learn their secret recipes. Home stay owners are more than willing to teach you. Staying in a Home Stays gives you a chance to meet people from different culture and habits. It becomes more enjoyable as it is like a social gathering with only a few people to interact. It makes your vacation a great fun and gives you some good friends probably forever. When you choose to stay in Home Stays, you get a better chance to mix with the local people and know more about their cultures and traditions. Home stays are typically located away from the noise and clutter of cities. They rarely have more than 4 rooms. So even it is full, you don’t see much people around. Just being there is great as these unfrequented, less populated areas offer a restoring solitude. Since you are staying with a family, your safety is a big concern for the host because his personal reputation is on stake which is very important for them. I remember how once I got late to reach back home and he sent all his team to find me because there was a leopard roaming in the area with her cubs. By staying at a home stay, you contribute to the livelihood of the local community. In places like Lahaul-Spiti, Sikkim and Ladakh you mostly depend upon local stays and it’s a way of some extra income for them apart from farming. At the end of the trip you also buy local handicrafts as a gesture of thank. This help them a lot to make their life better and gives you immense satisfaction. The most logical reason to choose a home stay over a hotel is, of course that it’s cheaper, often by half, and doesn’t come with hidden costs and a million types of taxes. Food is mostly included.